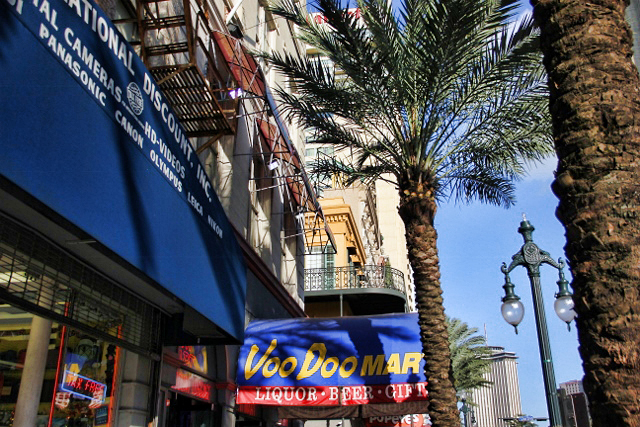 Old Time Lamps, Palm Trees, Wrought Iron and Voodoo–New Orleans, Where Else? Someone said they had 25 cent voodoo dolls and she ran to get them. I didn’t see them, didn’t want them, but if you have such things in your books, you always have to think of things like this. What would work well to give to your readers? Even if you don’t give them away, how can you decorate your signing table or if you’re hosting a lunch or dinner for fans? I’ve had readers, bloggers, reviewers take pictures of my displays just to share with others because they’re unique, catch reader’s attention. It doesn’t mean anyone’s going to stop or buy or anything. But it makes me feel good if folks smile at the way I’ve created a display. For now, I do have a statue of an Afghan Hound, because I had one when I was younger. A poodle. I have one of a Lab, but not sure where it is. I don’t have one of the silky terriers I had. Okay, back to editing. I’m halfway done with Jaguar Pride edits and hope to finish those today. Tomorrow, I need to get to work on edits on A SEAL Wolf for Sale and then send it to one more person to read. And then? Time for The Viking’s Highland Lass. I finished the 9 additional guest blogs and interviews I had to do yesterday, so yes! Hope you’re having a great week!! !